As thought provoking and beautiful as a painting can be, it is confined to the size of its canvas and liquid medium, sculptures however, are not. 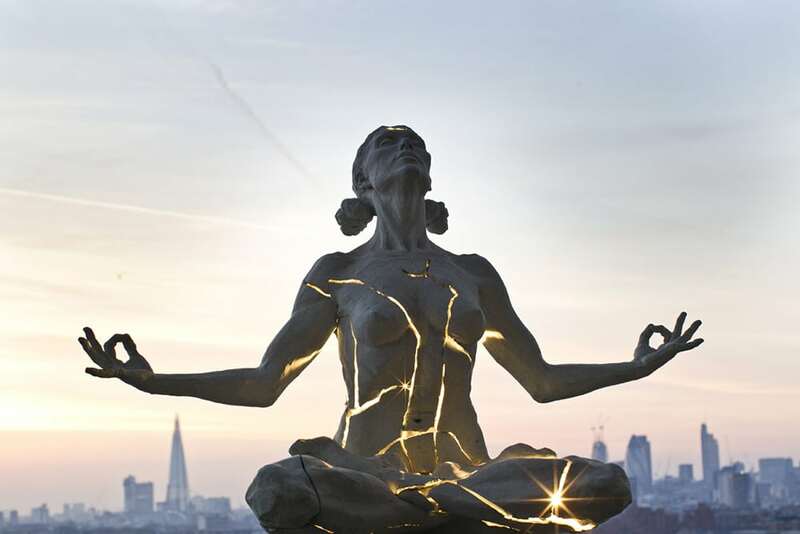 Here we have gathered 10 stunning images of some of the most incredible sculptures on the planet. 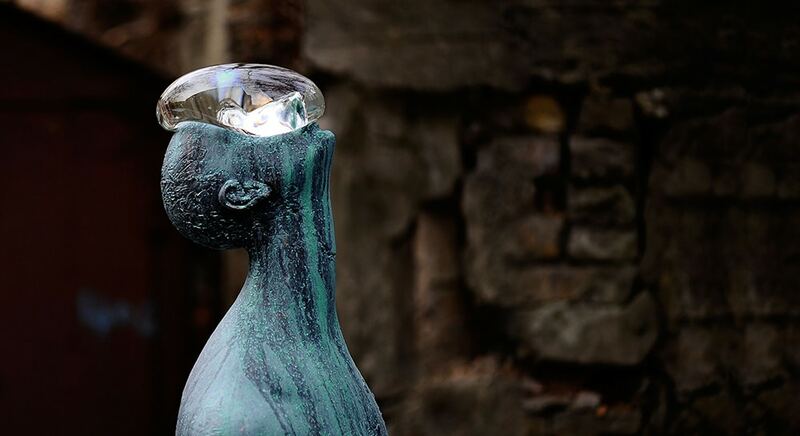 When it comes to three-dimensional art, these sculptures have taken creativity to mind-bending levels. 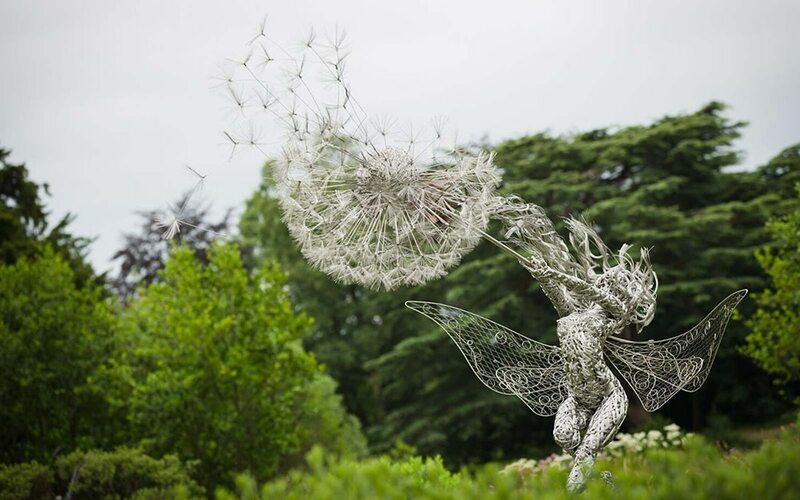 These gorgeous dancing fairies are made entirely from stainless steel wire, which makes it even more incredible that they all seem as though they are dancing in the wind. As if they weren’t magical enough, Wight buries a stone ‘heart’ in each of the fairies, sometimes engraved with messages. This impressive half man, half mountain, was created in 1579 by the Italian sculptor Giambologna. 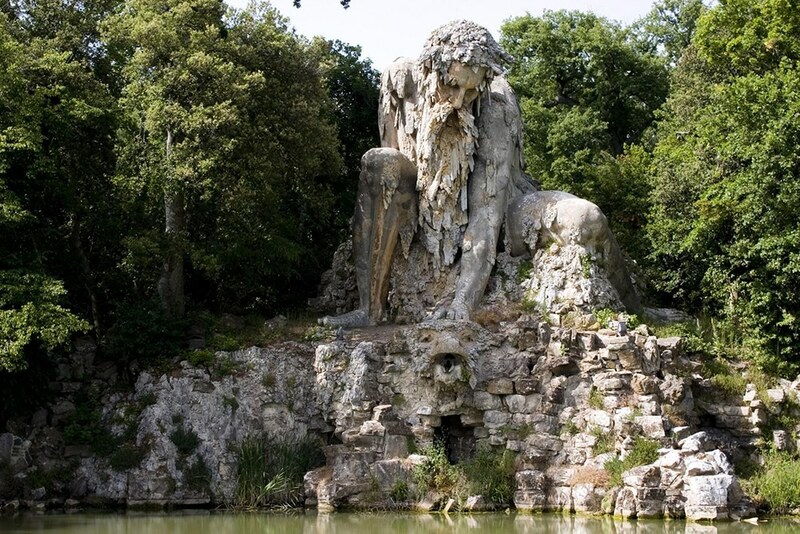 It stands at over 10 metres tall and is a personification of the Apennine mountain range. 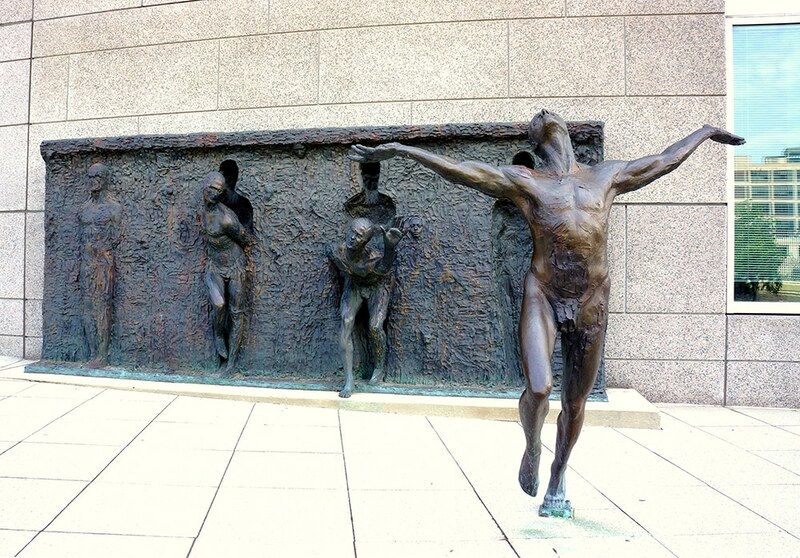 The statue also conceals a special secret – there are rooms and caves built inside him! 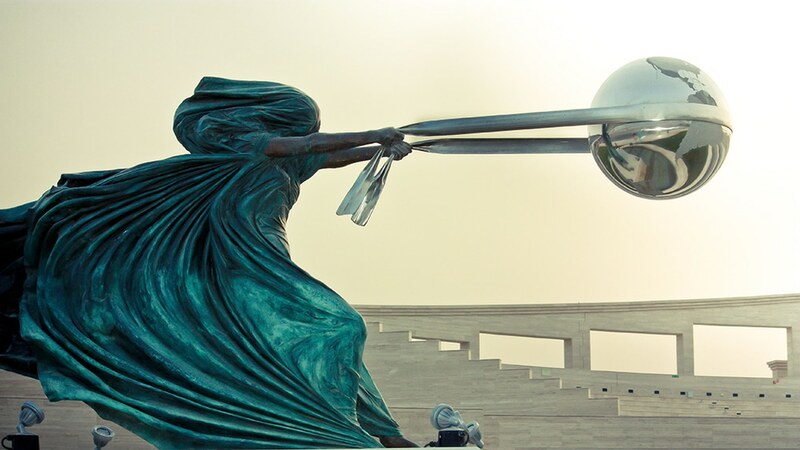 At this moment in time this sculpture may be the most prominent of them all as its message is of environmental responsibility and care. 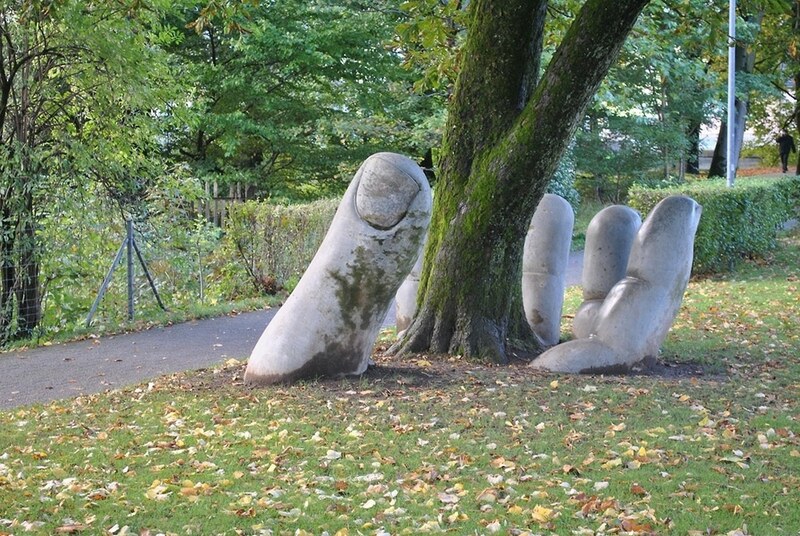 However, not only is it a symbol of our need to take care of our planet, but it also holds an interesting political message as it was built in the small town of Glarus, one of only two towns in the world where direct democracy is still practiced – by raising a hand. 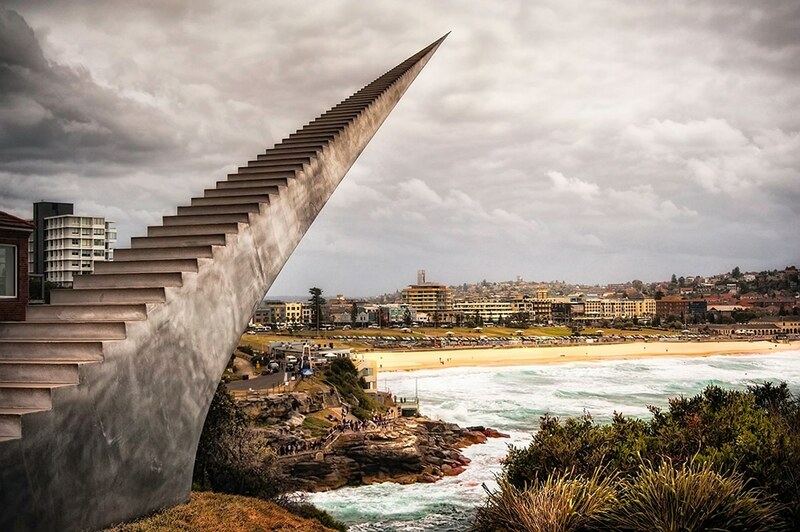 Built for the event known as Sculpture by the Sea, this incredible piece, from certain angles, looks like a never-ending staircase. McCracken’s wonderful way of playing with perspectives creates the optical illusion of an actual “stairway to heaven”. 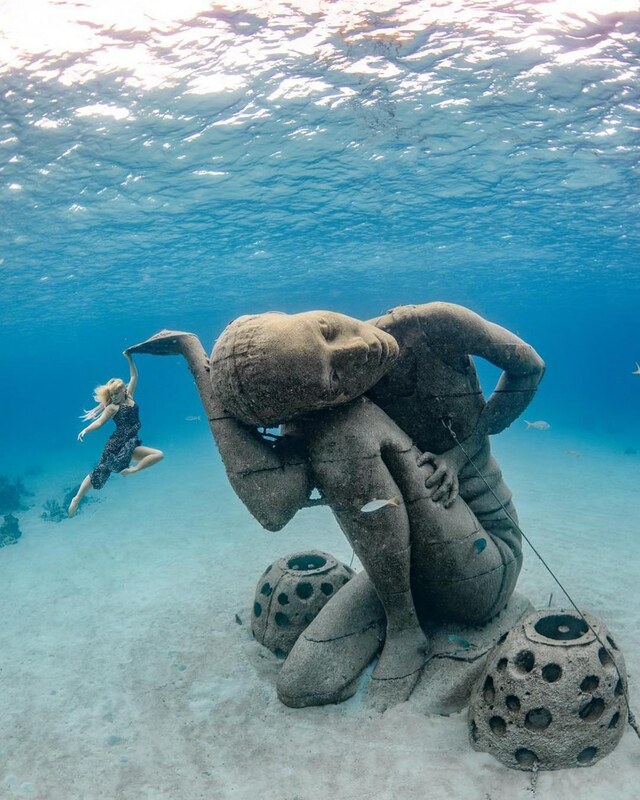 This sculpture is a definite favourite and here is why: Ocean Atlas is made from a PH-neutral cement, which, over time, allows the creation of coral reef’s, the artist also knows so much about coral reefs he is capable of creating designs and colours to attract specific sea creatures as the coral reef forms. Ocean Atlas is also quite incredible as it stands over 5 metres tall and weighs around 60 tonnes! 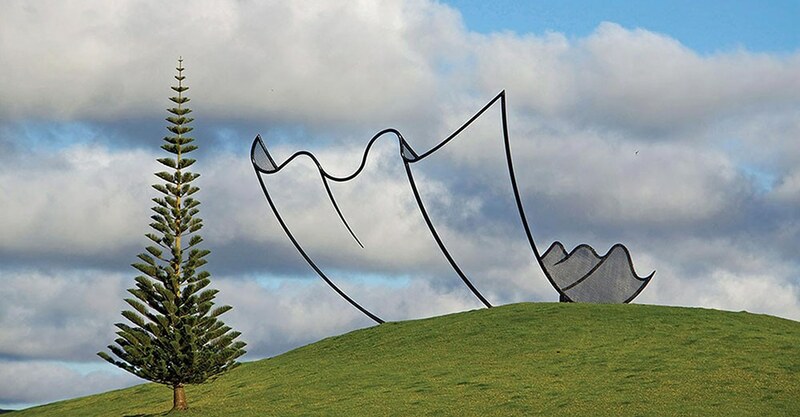 Settled on top of the highest hill in a large private “art park” in New Zealand is the incredible “Horizons” sculpture. What makes this sculpture so unique is it appears to be drawn on a piece of paper, but is in fact, a construction of welded steel.